The world of business is being dramatically impacted by the increasing adoption of the Cloud, and by the mainstreaming of new technologies that have hitherto been the domain of imaginative Hollywood films, including artificial intelligence, machine learning, Internet of Things, augmented reality and more. 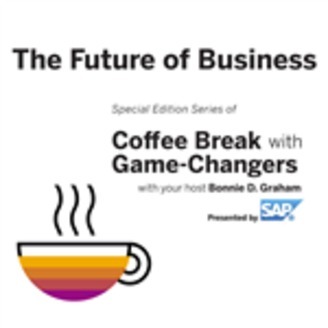 Join host Bonnie D. Graham as she invites you to take an additional coffee break with game-changers for our series on how modern technology is completely redefining the world of business, on the Future of Business with Game-Changers. 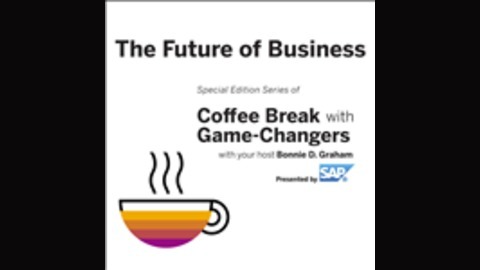 With digital transformation becoming a mission-critical imperative, every company needs to simultaneously chart its future path while keeping an eye on the rear-view mirror to see who’s coming up in the fast lane to overtake them. In many ways, this is making every business a technology business, no matter their size, industry or geographic location. The buzz: One big happy family. Today’s workforce has four generations side-by-side for the first time ever.